Dr. Melissa Tuft always appreciates feedback from her valued patients. To date, we’re thrilled to have collected 5 reviews with an average rating of 4.8 out of 5 stars. Please read what others are saying about Dr. Melissa Tuft below, and as always, we would love to collect your feedback. 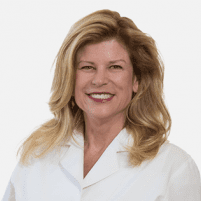 Dr. Tuft and her team always provide excellent service, taking time to answer questions and explain procedures. I'd recommend Dr. Tuft to everyone seeking a quality and caring dentist in SF. My appointment was on time as usual, and everyone was professional and friendly. Thank you for being so caring and professional. Over the years, you have certainly improved my childhood fear of dental appointments. Always a good experience in Dr. Tuft's office. She and her staff are lovely, and my teeth look great! I only wish she was a provider on my dental insurance plan. As always I am so impressed and appreciative with the care I receive here!